Click on the More button near the top of the program window. 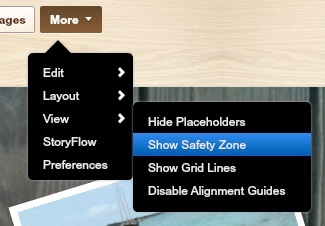 Select the View menu, then click on Show Safety Zone. The crop zone will display by default when you view your book in Preview mode.